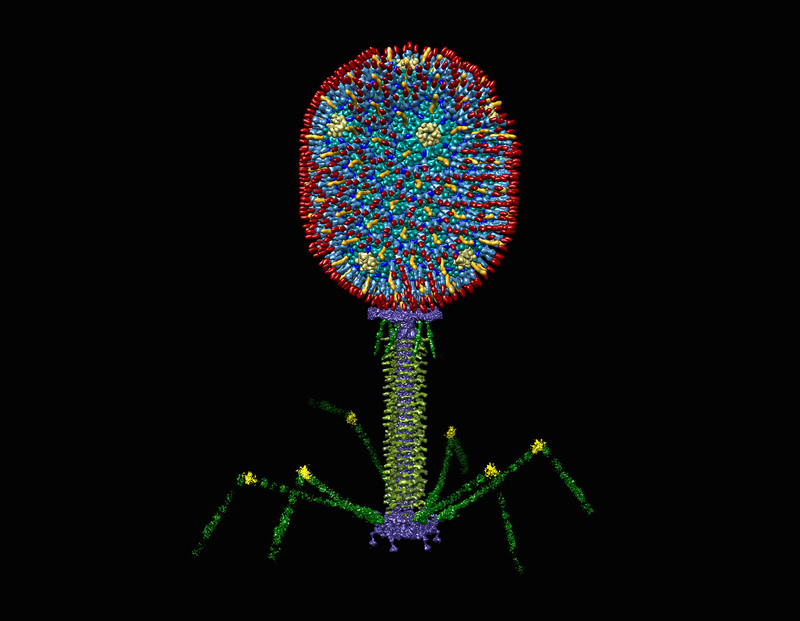 With about 50 structural proteins in the virus, 171-kb of double stranded DNA packaged inside a 120 nm x 86 nm capsid, and a sophisticated tail to deliver its genetic material into Escherichia coli host, bacteriophage T4 is one of the most complex viruses and a fascinating “organism” to study biology. 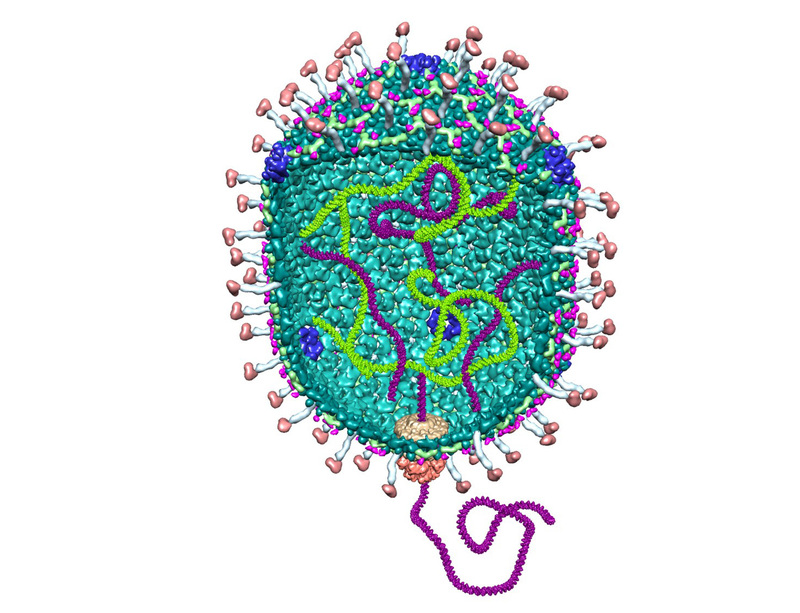 Bacteriophage nanoparticles can be engineered to deliver vaccine antigens. Pathogen antigens from Bacillus anthracis (anthrax), Yersinia pestis (plague), and HIV-1 are arrayed on the virus capsid. Vaccination of mice, rabbits, and rhesus macaques with these particles elicit strong immune responses against the infectious agent. The phage T4 DNA packaging machine consists of a dodecameric portal and a pentameric motor assembled at a special five-fold vertex of the virus head. 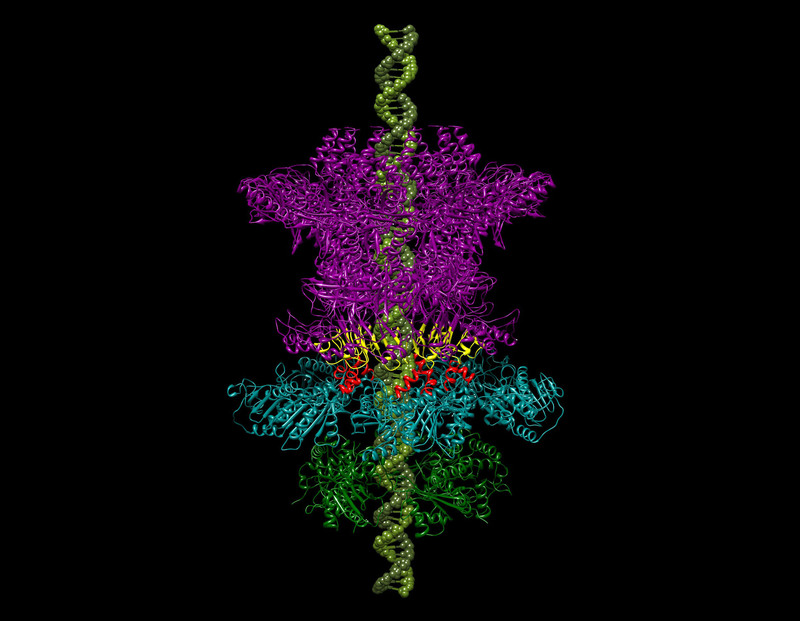 Fueled by ATP, the machine generates approximately twice the power of an automobile engine and drives DNA up to about 2,000 basepairs per sec. The bacteriophage T4 DNA packaging machine is being developed as a platform for human therapies. Foreign DNA molecules are packaged into the phage head and its outer surface is decorated with proteins fused to outer capsid proteins, Hoc and Soc. T4 nanoparticles carrying reporter genes, vaccine candidates, functional enzymes, and targeting ligands can be delivered into cells, or targeted to antigen-presenting immune cells. This platform might lead to new types of vaccines and genetic therapies. 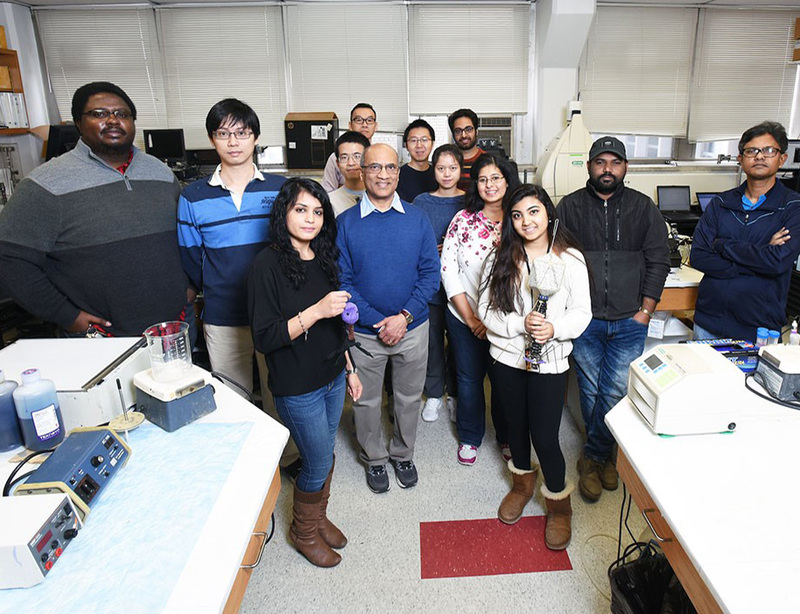 Dedicated to generate deeper understanding of phage T4 structure, assembly, and biomedical applications, our team consists of people with diverse backgrounds, including high school students, undergraduate and graduate students, post-doctoral fellows and collaborators. Current collaborators are Michael Rossmann, Purdue University (Structural Biology); Mangala Rao and Carl Alving, Walter Reed Army Institute of Research (HIV-1 vaccine immunology and adjuvants); Ashok Chopra, University of Texas Medical Branch (plague and anthrax vaccines); Yann Chemla and Taekjip Ha, University of Illinois at Urbana-Champaign, and Doug Smith, University of California at San Diego (Single molecule optical tweezers and fluorescence). 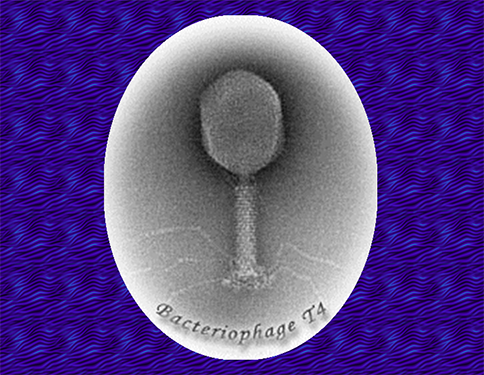 Bacteriophage T4 has a rich history, serving as a model since 1930s to elucidate basic mechanisms in biological systems. Our laboratory uses a combination of approaches; molecular genetics, recombinant DNA, biochemistry, bioinformatics, structural biology, and single molecule biophysics, to investigate phage T4 assembly and DNA packaging. This basic knowledge is translated into the development of novel vaccines and gene and protein delivery devices for various biomedical applications. Our current focus is to design multivalent single dose vaccines against anthrax, plague, and HIV.